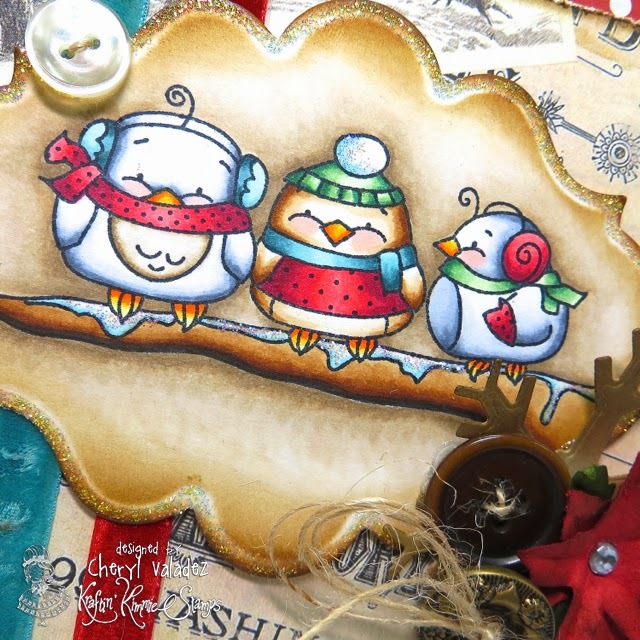 The Ink Trap: A New Challenge At Kraftin' Kimmie Stamps: Vintage Christmas! 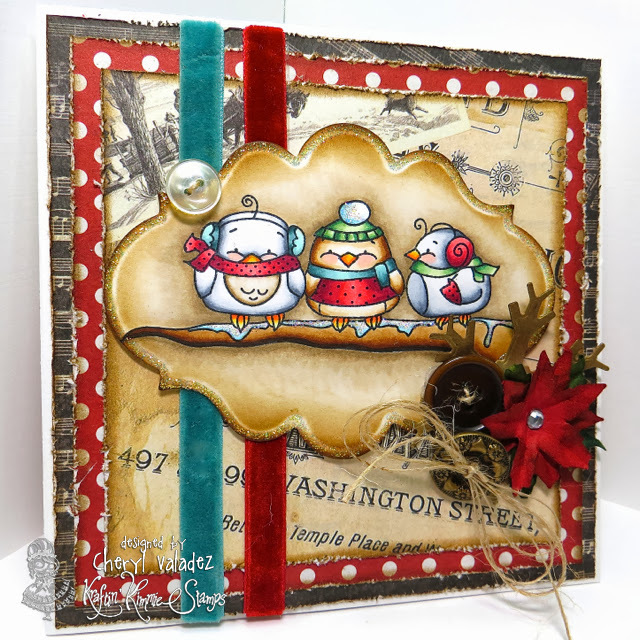 A New Challenge At Kraftin' Kimmie Stamps: Vintage Christmas! Hola! Welcome back! Today we have a new challenge at Kraftin' Kimmie Stamps and I am certain you will want to play along! This week our hostess is MOI!! And my challenge is VINTAGE CHRISTMAS!! So create a card, scrapbook page or altered item with a Kraftin' Kimmie stamp that features a vintage feel.....use vintage papers, distressing, lace etc.!!! Sound fun??!! Join us this week because we'd LOVE to see your KKS designs. I've used the adorable bird trio from Thais Narciso's set called You're So Tweet. LOVE this set! Did you hear about our new SHARE to WIN challenges?? We introduced the new WONDERFUL WEDNESDAYS a few weeks ago, so go HERE to get all the information and play along with us!! Now you have MORE chances to play with your Kraftin' Kimmie Stamps and more chances to WIN!! Also we've got something special going on right now!! It's called our 12 Days of Krafty Kreations and we're sharing inspiration every day for 12 days!! AND all the stamps sets we're using (plus a few extras) are on SALE 20-50% OFF during the whole 12 days!! And it all ends on Monday! Soooo adorable! Their outfits are too cute! This is the cutest card! I love it.